09:00 - 12:00 / Prime Time Weekend Service - We are please to offer you convenient Saturday morning application time slots available for an additional fee of 250 CNY. For more information, please refer to Added Value Services page. 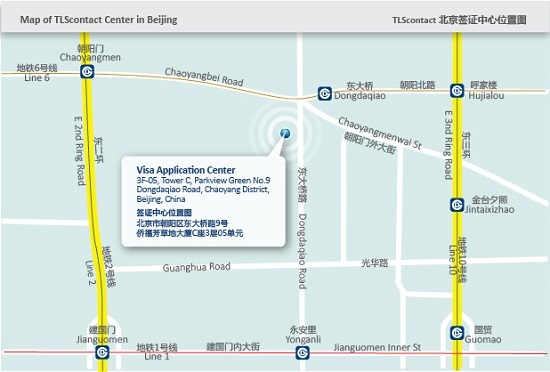 Dongdaqiao East Bus Stop: Served by bus routes 75,98,101,109,112,118，140，350，433，615，650. Get off and walk for 10 Min.